Welcome to the Home Remodeling Company! We operate in the Greater New York city – mainly: New York city, Queens, Brooklyn and Long Island. Check our home remodeling services. 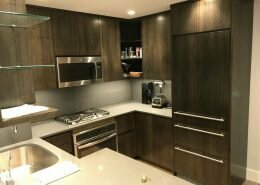 We are a full service home remodeling, town houses remodeling experts offering services in New York, Manhattan, Brooklyn, Queens, Long Island, New Jersey and other New York city areas. 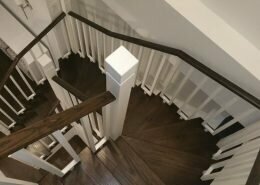 With years of experience, our custom made stairs and doors bring safety, comfort and elegance to your apartment or house. Are you looking for a beautiful and functional Kitchen? Green Builders GRP can help you in any kitchen space and cabinets design, creation and installation, like kitchen cabinets, shelves, appliances place, made from MDF, plastic, glass and metal and of course our speciality – wood. Bathroom remodeling doesn’t need to be a stressful project. A well-planned bathroom remodel offers homeowners the chance to transform an outdated space into a spa-like retreat. when it comes to home, condos remodeling, including European and American-style kitchen, bathroom remodeling, cabinetry, and countertops. 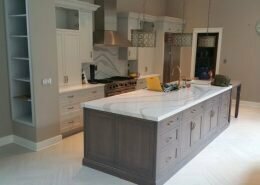 Whether you need to install or renovate a traditional, modern, European, or American kitchen we’ve got you covered. Our remodeling experts are dedicated to completing your project (large or small) with quality results, on time, and within your budget. We have years of experience planning, managing, and executing home remodeling projects of all kinds. is professional and reliable, and we will work within your constraints. We always stay on the job until it’s done to your satisfaction. Our work process is just as important as the completed project. Many companies can get the work done, but few can get it done in a way that doesn’t make you hate the project. 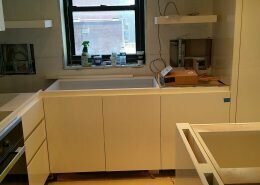 We are a full service General Contractor, home remodeling, home renovation, kitchen designing and kitchen remodeling, bathroom renovation experts offering services in New York, Manhattan, Brooklyn, Queens, Long Island, New Jersey and other New York city areas. With years of experience, our kitchen re-modelers are the right choice for your next kitchen remodeling! Kitchens have become the core of the modern home and a focal point of everyday life and entertaining. Check our kitchen remodeling cost calculator for your budget estimate. 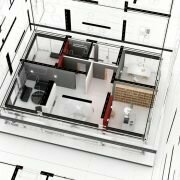 We help you with your home improvement or commercial space remodeling. Our expertise and experience will make this process very efficient and friendly. 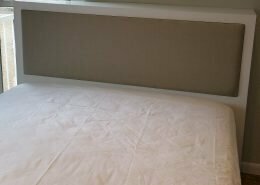 We take care of anything that you need in your pub’s or shop’s remodeling project, as well home remodeling project. Our Bathroom renovation experts help you with any bathroom renovation project. 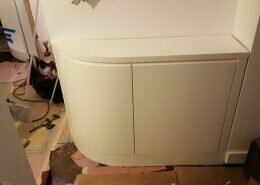 We can design, remove old and create a totally new bathroom with all bathroom cabinets and equipment. Check our bathroom remodeling cost calculator. It is a very first step in your home remodeling project because it requires investment and design. Our experience with shop’s interior design and development will bring you the best solutions, materials, equipment that is needed for such spaces. 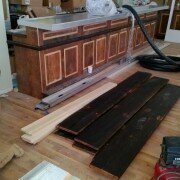 We take care of everything that you need in your shop’s remodeling project. 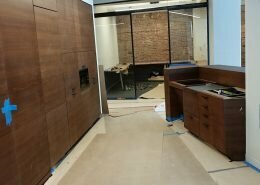 Our millwork, cabinetry work is really wide. 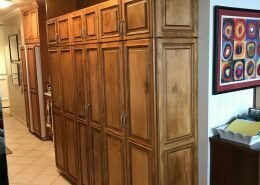 We create all types of furniture: kitchen cabinets and islands, bathroom vanity, walk-in-closet, stairs cabinets, tables, coffee tables, consoles and any wall units. Typically it is a part of a home remodeling project. Father & son team. Great craftsmanship and professionalism. They take pride in their work. 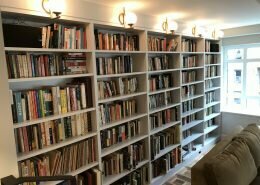 They build a walking-closet, a large wardrobe and kitchen extension for my apartment. And the work turned out perfect. Karol and Henrik Urban (Green Builders) designed and built us a beautiful new front door for our Brooklyn townhouse. (You can see a photograph on this site, I believe.) It is made of solid oak and stained. The fixtures are solid brass. We are very pleased with the result and have received many compliments on the door. The price for the door was very reasonable, especially in light of the high quality of the work. They were always prompt and did their work efficiently. Karol and Henrik are friendly and cooperative. They recently returned because the door was sticking on the old marble threshold. They determined that moisture was getting in under the threshold and pushing it up. 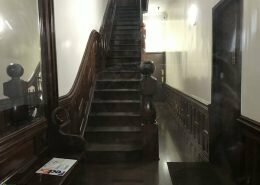 They replaced the old marble with a new oak threshold and sealed it thoroughly to prevent moisture from getting under it in the future. We recommend their work highly. The stairs prepared and created by Green Builders GRP LLC team are really safe, functional and good quality. Of course we wanted to have all elements made from wood that made our stairs warmer and practical. They use very good materials. They mixed American wood with exotic mahogeny wood. The result was incredible: ellegant and simply beautiful. Green Builders GRP LLC job was fast and excellent. They delivered everything on time and with great finish. Our expectations were exceeded. Wonderful job, guys! 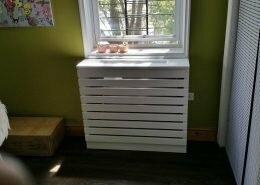 The radiator covers you created are beautiful. Awesome job! It was very fast delivery and installation – 3 days and everything was done and installed. You designed and remodel my whole kitchen in a very comfortable and beautiful place. Everything is user friendly. 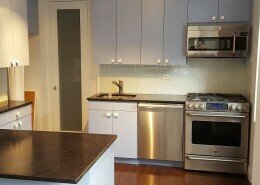 We can easily access all cabinets, drawers and appliances, even our kitchen is really small. It was an amazing job! Thank you for your attention to details and perfect finishing.